Can You Be Sued if Your Dog Bit Someone? In a recent decision, Swanson v. Tackling, 783 SE 2d 16 (2016), the Georgia Court of Appeals rendered a decision in alignment with the tort law principle often referred to as the "First Bite Free" rule. 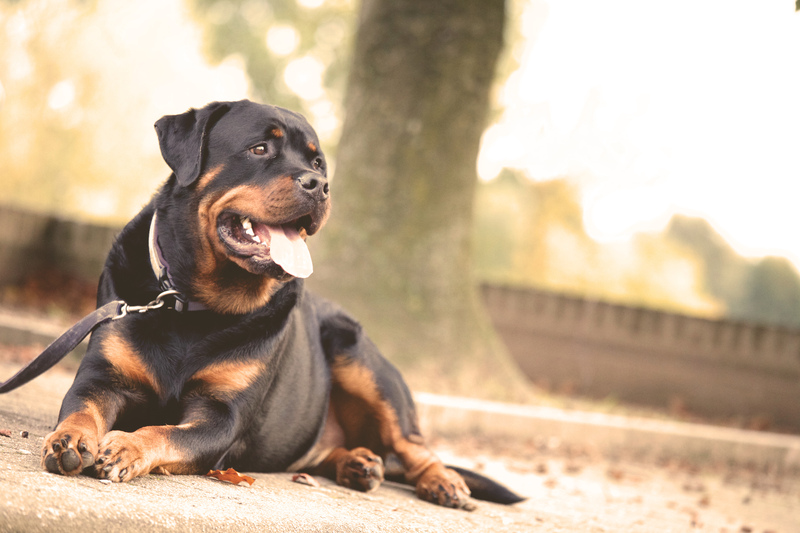 While the court did not refer to it as such, and it's not completely accurate to say that dog owners cannot be held liable for their dog's first bite (see for example the reference to Stennette, 316 Ga.App. at 430(3), 729 S.E.2d 559, infra), the court did reverse the denial of summary judgment for the defendants in the case. Thus, the dog's owners were not held liable for the attack. The plaintiff had been spending the weekend with her seven-year-old son and boyfriend at the boyfriend's mother's house. The mother and her husband (the defendants) had two Great Danes. Although the dogs seemed to be playful when introduced to the child, at some point the child was holding a stuffed animal toy that was intended for the dog. The dog attempted to take the toy and bit the boy's arm and subsequently his face. After the mother realized the extent of the boy's injuries, she took him to a hospital for treatment. This lawsuit then followed. In summarizing the nature of the case, the court stated that while the complaint did not specify upon which statute the personal injury action was based, as a general matter in dog bite cases, under Georgia law, a plaintiff can recover either under a dangerous animal liability theory or a premises liability theory. However, the court went on, in either cause of action, the plaintiff must provide evidence of the "vicious propensity of the dog" in order to show that the owner had prior knowledge of the alleged danger.In order to demonstrate that the owner had prior knowledge of the dangerousness of the animal, the court stated that there must have been at least one prior incident that would put a prudent person on notice to anticipate the actual incident that caused the injury. The animal did not have to cause the same type of injury, but the incident must have been of the same nature. "Menacing behavior" alone does not demonstrate the required vicious propensity, nor does it put the owner on notice of such. The plaintiff attempted to argue that the defendants were on notice of the dog's propensity to attack solely because she was protective of her toys and would "go after" them. The court found that fetching toys solely after someone threw them, as with the dog in this case, was not the same thing as biting someone, and therefore it did not demonstrate that she was a vicious dog.Additionally, the court stated, this case was distinguishable from a similar dog bite case, in which the court allowed a claim to go through because in that case, although the dog did not engage in the exact same behavior that caused an injury (jumping over a fence and attacking a person), it did engage in other aggressive behavior (attempting to lunge at someone while being held back) that potentially raised a genuine issue of material fact as to whether a prudent person would anticipate the dog to attack if left unrestrained. Stennette, 729 S.E.2d 559. In this case, however, the plaintiff did not present any evidence of a prior incident that would raise such a concern that the dog might attack. Lastly, the plaintiff argued that the defendants should not be granted summary judgment because Georgia courts had previously allowed "an injured victim to recover [when] a person voluntarily undertakes to restrain a dog and fails to do so, causing injury." The court found that argument distinguishable because in the cases in which recovery was allowed, it was when the owner had agreed to restrain a dog but then failed to do so, which ultimately resulted in an injury. Here, however, although there was evidence that the plaintiff stated she did not want the child alone with the dog, the court found no evidence that the plaintiff asked the defendants to restrain her dog or that the defendants had promised to do so. Thus, the court found that the plaintiff did not provide evidence that the dog had ever attempted to bite or had actually bitten anyone before, nor that the dog had a tendency to attack people, nor that the owners had other knowledge as to the dog's temperament that would have put them on notice that she might bite someone. Thus, the court ruled that the trial court erred in denying the motion for summary judgment, and it reversed the decision. People who have been injured should always deeply consider seeking the aid of experienced counsel. The Atlanta negligence attorneys at Christopher Simon Attorney at Law have particularized experience with dog bite cases, and they are prepared to answer the questions you may have about a possible claim. Feel free to contact us if you are interested in a free case consultation.